The truth is when you’re ignoring your running injury, when you’re running with an aching stress fracture and you’re not doing anything to change the force that’s going through that fractured metatarsal bone, the injured bone, your injured tendon, whatever it is that’s bothering you, some stuff is getting better and some stuff is getting worse. Your body is always at work trying to repair the injury. Now the stuff you do to an injured area, like a metatarsal stress fracture or an aching achilles tendon or a sprained plantar fascia ligament, well you have two things going on. You have a repair process that’s happening and you have the process of applying stress to it that injured it in the first place and may actually be keeping it from getting better and preventing you from actually recovering. So what you have to realize is that you can start healing in two different ways. The truth is you can start healing when you decrease the stress. That’s the easiest thing to do. Now that’s why most doctors, when you see them when you’ve had an over-training injury and you’re a runner, they’ll try to tell you to stop running, decrease your running, take a rest, something like that. All that does is it decreases the stress because it removes any possibility of continuing to apply the same kind of forces that caused the injury in the first place. And I know that seems simple, but you have to understand that. Now that’s actually true. But you don’t have to necessarily sit on the couch for the next six weeks to get something to heal. But you do have to modify the stresses so that you are not applying the same level of stress that caused the injury. If you don’t change something, you’re definitely not going to get better because you’re going to keep injuring that tissue. It’s really that simple. 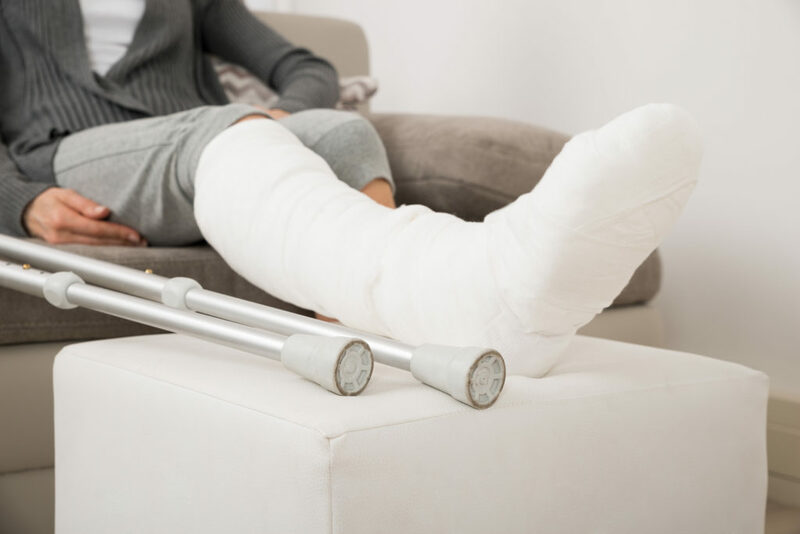 On the other side of it though, the things that most doctors don’t seem to really want to explain to patients or take the time to explain to patients is that you have another way to get the injury to heal faster. It’s not just removing the stress, but it’s also fueling the healing process. Now look, you can get lots of different injuries when you’re running, right? Sure. You can get achilles tendon problems, you can get peroneal tendon problems, you can get posterior tibial tendon problems and you can get stress fractures in your metatarsals, your heel bone, your tibia. You can get lots of different kinds of injuries. But all those things heal in response to your own physiology and your nutrition, and all of the other peripheral things you do that actually fuel your recovery process. So if you have an injury to a tissue that’s made of collagen, like a tendon or a ligament and you do something like you really address the healing process related to collagen, you have enough collagen in your system, you have protein, antioxidants, micronutrients, all of the stuff in your diet that will actually help you heal, well that’s going to fuel the healing process. If you rest more effectively, if you’re actually sleeping effectively and I’m not talking about just rest, like sitting on the couch. I’m talking about actual sleep. Like if you’re really paying attention to managing your sleep, trying to do the things that will support your sleep habits, so you can actually sleep better, you’re going to heal faster. It’s just simply the way it works. You have to have hydration, you have to have sleep, you have to have proper nutrition. You need to have all the building blocks in your system to rebuild that tissue when you get injured. You have to figure out what the underlying cause was too. So if you have thyroid dysfunction and that’s one of the things that contributed to your injury, you have to understand that and address it. But there are many different forms of stress that can lead to and contribute to over-training injuries. And the more of those you identify and you address and you do something about, the faster you’re going to heal. So don’t think of it as simply as trying to remove the stress and trying to rest more and just sit around and not train and lose your fitness. That’s not really what’s necessary. What you have to do is make sure that you’re removing some of the stress but you’re also doing something else to fuel the healing process. If you do both of those, you’re going to heal a lot faster. And one of the things that happens is somebody goes to the doctor. Let’s say they have a metatarsal stress fracture and the doctor says, “Okay, you need to just stop running and this thing will heal because it’s really just an early stress fracture. It’s just a stress response or a stress reaction and you should start to improve very quickly if you can just stop running for a period of time.” So they tell you quit running, and you do that. But then you’re actually doing other stuff that is applying stress to the bone that is kind of injuring the bone and it’s not really letting it heal. It’s kind of preventing it from healing. So if you’re walking around in your home on hardwood floors, tile, stuff like that, and you actually feel pain when you’re walking around in that injured metatarsal, well you’re obviously injuring it because you’re stressing it more. So you have to remove the stress and make sure that you decrease the forces applied through that injured tissue if you really want it to heal faster. Pain is the most obvious indication that that’s happening. The second indication that that’s happening is that you’re not getting better. So you have to be doing something that is preventing that healing from taking place. Otherwise, your body would be repairing the tissue and you’d be getting better. Now the thing is that people have to realize is that you’re getting better and worse all at the same time when you think that you’re not improving. So that’s the thing here is that you really have to think, okay, well what is it that you’re doing? Is it that you’re applying too much stress? Are you not sleeping well? Are you not eating well? Are you not hydrating? What is the thing that you’re doing that is perhaps slowing down your recovery and keeping you the same or making you think you’re the same anyway? I think you’re sort of getting better and sort of getting worse all at the same time. Now look, here’s the good news though. Let’s talk about this from a different perspective. The fact is all you have to do is shift something, a small change, to start moving in the right direction. And if you think about this in terms of business, let’s just say there’s a business that’s been around for 30 years but it’s not making any money. Well the fact is is that if you could look at that business, really evaluate it, go in and make some small changes like do something to figure out why the business is losing money unnecessarily, well then suddenly you have a profitable business. Because if it’s been in business for 30 years but isn’t really making any money, what that really means is that they have lots of money coming in and then lots of money going out. And if they can just stop some of the drainage, suddenly it becomes a profit builder. There are lots of TV shows that really built on this concept where they go in, they take somebody who’s a consultant that understands businesses and they basically try to rescue and revive the business and make it profitable again. It’s usually a small shift. It’s usually not a huge change. They don’t close the business and start doing something else. It’s just a small change. So you need to make that same small shift if you really want to shift and start getting better. But that’s the good news. For most runners who say that they’re staying the same in my mind what that tells me is that they’re actually doing a lot of the right stuff already. So you’re probably doing most of the right things already. And all you have to do is identify one or two limiters, things that are slowing your healing process down, preventing you from actually getting better and getting over this injury and it’s going to push you into the right direction. And then you’re going to start moving toward healing at a much faster pace and that accelerates. 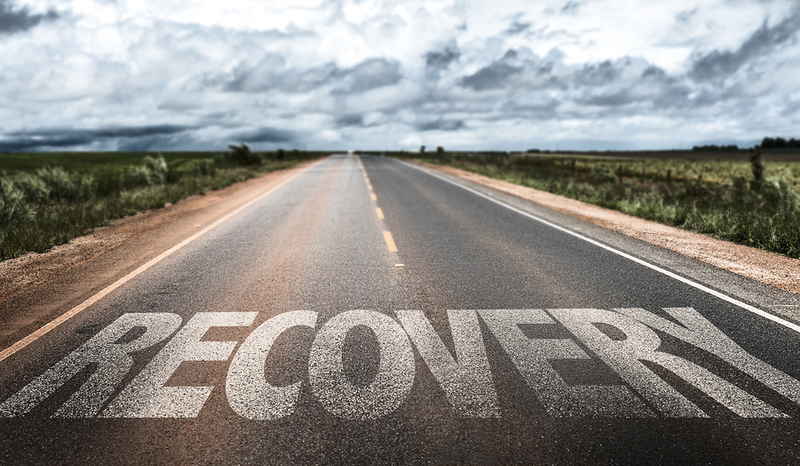 Most people who start getting better, they actually build on that recovery, because as you start to recover the tissue gets stronger. Because it’s stronger, it takes more stress to re-injure it. So the process of healing actually accelerates. Find that one limiter. Find the shift that you need to make so that you can stop staying the same and start getting better, and then get back to running. «« Can I Run with a Split Peroneal Tendon?